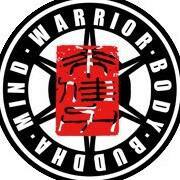 Sifu Garry Hearfield is the founder & owner of Warrior Body Buddha Mind (WBBM). He has over 30 years of Martial Arts experience, specializing in many rare styles of Kung Fu. Sifu Garry is an ordained Taoist. In 1992 he became a Close Door Disciple which means he embodies the fundamental traits of Kung Fu - perseverance, discipline in training, honesty, dedication, trustworthiness, loyalty, courage and selflessness. He has taught many students over the years, and continues to pass on martial arts knowledge with honour and respect for his ancestors and peers. Sifu Garry is also certified in remedial massage therapy and reiki, and uses these skills to inform his teaching, body conditioning and herbal formulas. If you wish to become a student of Sifu Garry, please feel free to contact him to discuss your needs. Alternatively you can learn from his detailed videos at your own pace. Advanced students who wish to hone their skills in the rarer forms of Kung Fu can also access instructional videos. Students who wish to support their training with traditional Kung Fu herbal formulas can purchase a variety of Dit Dar Jow from this website. Instructor Certification is also available.